Like any self-respecting castle, the 14th Century stronghold of Sir Thomas de Lucy has a ghost. The sobbing Grey Lady, who glides along its corridors, is said to be Sir Thomas’s daughter Maud – she flung herself from the highest window when her husband was killed in the Battle of Shrewsbury. 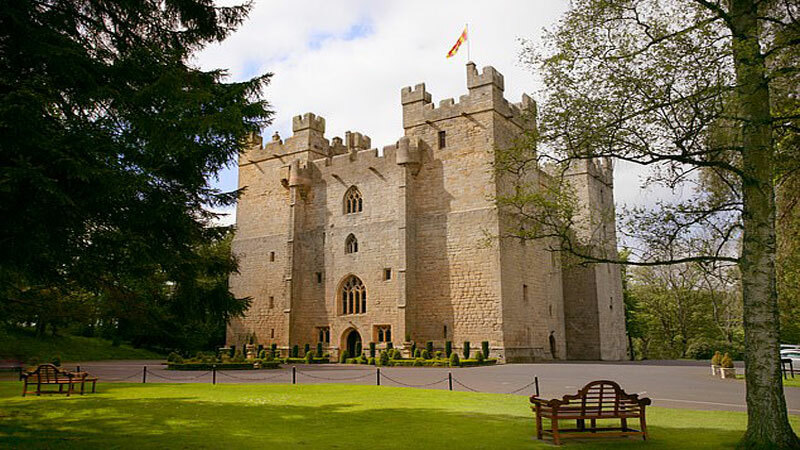 Despite this, Langley Castle is the North East England Hotel of the Year, a title it has won six times, and there’s nothing ethereal about its excellent hospitality. 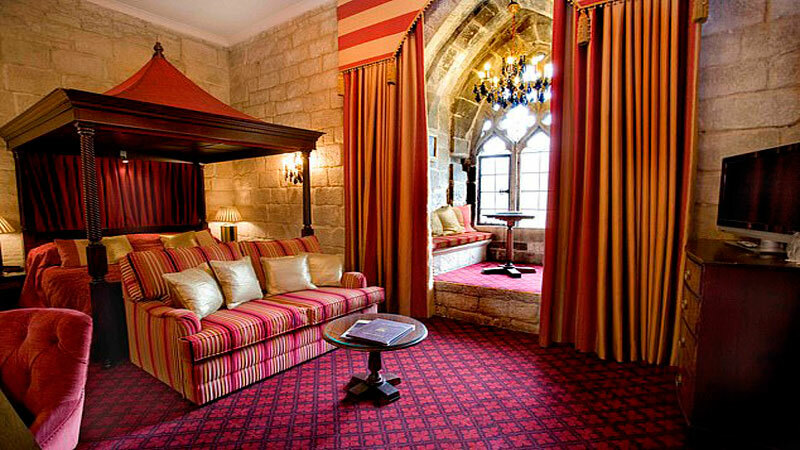 Northumberland’s only castle hotel, a mile outside the village of Haydon Bridge, is picture-perfect. When I arrived, peacocks were strutting in the grounds and, over one of the towers, the red and gold flag of Northumberland was snapping in the wind. Inside, the decor is ‘medieval redoubt’. There are tapestries on the walls, suits of armour on the staircases and iron chandeliers. The guest rooms have all the modern amenities you would expect from a four-star hotel. Although not the grandest, the Tower Room, in the top of a turret, is one of the most popular. From the battlements – there’s a tour every morning – you can see Hadrian’s Wall, the fortified boundary built by the Romans 2,000 years ago. It’s a short drive to Newcastle and the castle borders ‘Reiver country’, the lawless land between Scotland and England where feuding families ruled the roost for centuries. The hotel is old-school without being stuffy. At Langley, they think ‘hipster’ is something a reiver keeps his dagger in. For example, you don’t have to have a drink in the grand drawing room before dinner – but they sort of like it if you do. Allows you to indulge your fantasies of being king or queen of the castle. The rooms: There are nine in the castle and a further 18 in buildings in the grounds. The food: Posh and delicious. The dinner menu is heavy with meat and game but I had a crab starter followed by a wonderful slab of halibut. Three courses cost £44.95.